The R.M. Williams Dynamic Flex Craftsman boots feature a classic chisel square toe and flat heel. The fibreglass airport-friendly shank reinforces the shape of the boot and supports the arch. It includes a removable supportive footbed insert and flexible cellulose insole board. Combination leather and rubber sole provides maximum flexibility and outstanding durability. The Dynamic Flex Comfort Sole is perfect for everyday wear and features sewn welt with composition leather and rubber sole as well as a removable, supportive innersole. The R.M. 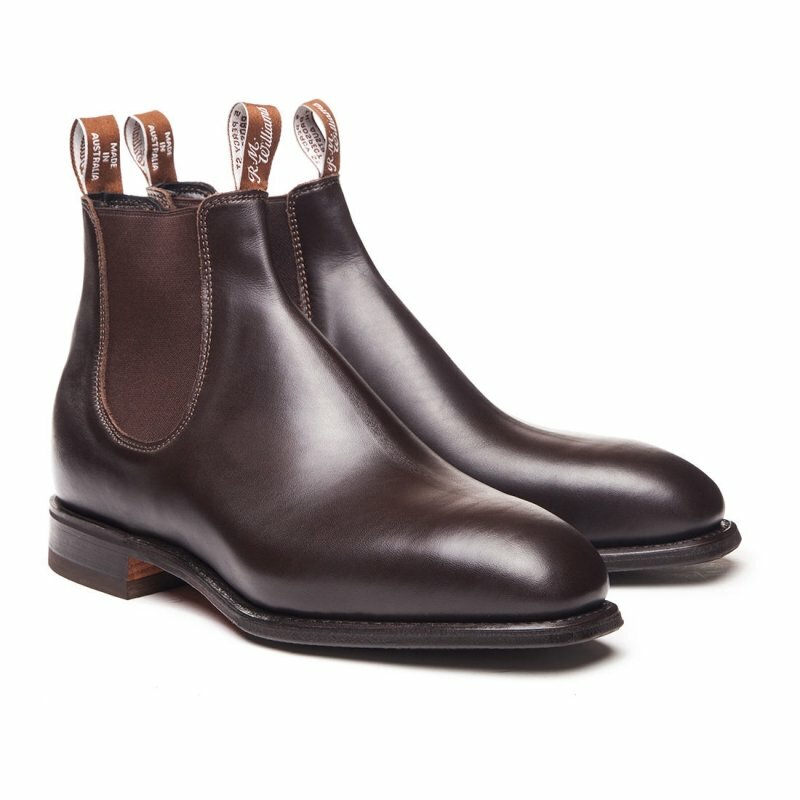 Williams Dynamic Flex Craftsman Chestnut boots are beautifully constructed and uniquely made from one piece of the finest yearling leather in R.M Williams Adelaide factory.